After nearly 20 years in their home in Daggy Hall, the student performing arts organization, STAGE, will move its offices to the Compton Union Building. Jared Braswell, a communication major in broadcast production and STAGE member, said he believes that the change will be a good thing. “In the past, we have always been located in Daggy, and most students don’t know where that is. Being in the CUB means that we are going to have a bigger presence on campus,” he said. STAGE’s key programs will continue throughout the semester including the Nuthouse improvisation comedy group. Braswell said that the group plans to host the STAGE One one-act play festival as well as its 24-Hour Theatre Festival during the year. The relocation allows STAGE to have dedicated space within close proximity to performance facilities as well as a new advisor who will be serving as the arts coordinator for Student Involvement. A search for the candidate to fill the position is currently underway with STAGE represented on the search committee. The CUB will house STAGE temporarily through May 2019. During spring semester, the group will go through a review consistent with the CUB Advisory Board’s space allocation process. Paul Choi, CUB advisory board at-large representative for graduate and undergraduate students, says that he feels the central location will have a positive impact on STAGE and help make it more accessible. “It’s important to realize that STAGE had a space for 20 years. The CUB Advisory Board and the CUB administration believe that this is an awesome opportunity to say that performing arts matters on our campus, and we want to be part of that initiative to increase the value of the performing arts,” said Choi. 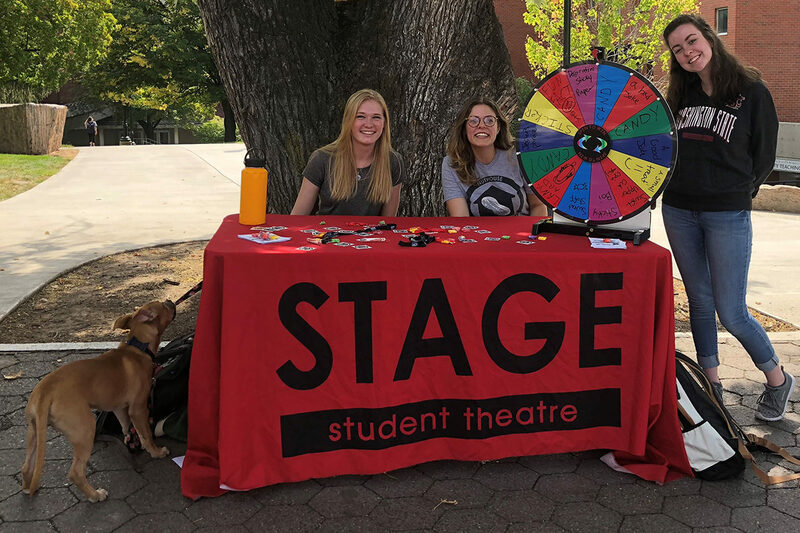 Despite all of the changes, STAGE is excited to get settled into their new space on campus and keep moving forward with expanding programming and collaborating with other areas.